Challenge yourself to an extra spicy twist when you dip your nachos in this Hot and Spicy Salsa! 1. 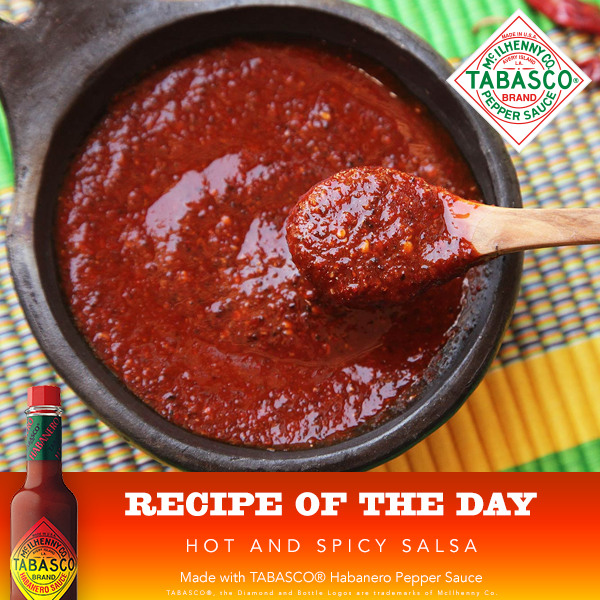 Combine tomatoes, onion, olives, garlic, parsley, lime juice, salt and TABASCO® Habanero Sauce in a bowl and mix well. Serve with tortilla chips. 2. Makes about 2 cups.